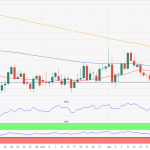 EUR/USD Forecast: scared enough already? Home All Posts EUR/USD Forecast: scared enough already? Fears about EU economic growth weighed more than the Fed’s U-turn. EUR/USD seen extending its decline next week but uncertainty to keep it within familiar levels.